Phi Kappa Sigma fraternity was established at the University of Pennsylvania in 1850. It is known as an international all-male college secret and social fraternity. Dr. Samuel Brown Wylie Mitchell is the main founder of Phi Kappa Sigma fraternity. He often discussed his ideas with other students. The ideas of Dr. Samuel Brown Wylie Mitchell became very popular and finally seven men (founding fathers) created Phi Kappa Sigma fraternity. The fraternity encourages good scholarship and training of its members. 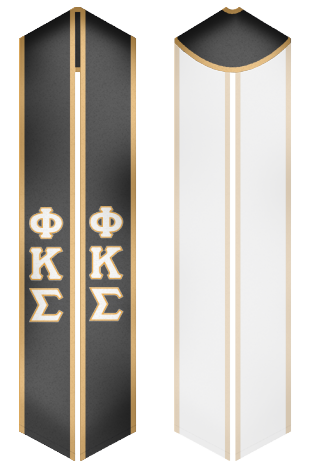 Phi Kappa Sigma promotes educational and cultural programs of institutions of higher education. 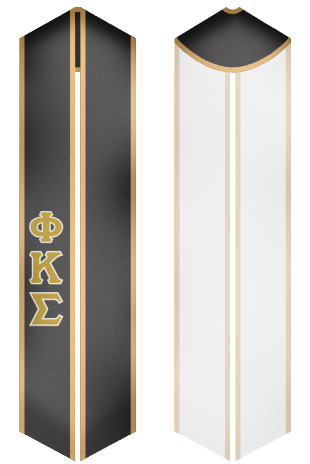 Our online store sells a great deal of sashes for members of Phi Kappa Sigma fraternity.